After more than four years in South Florida, my family finally made it to Boomers in Dania Beach. We had been very hesitant about going, as places like this usually breaks our family entertainment budget. However, it was spring break, and I was looking for a frugal family activity, and with Boomers coupons in hand we ventured into Boomers, Dania Beach on a Saturday afternoon during Spring Break. The parking lot was full, and I immediately feared that the place would be too crowded. However, while there were lots of people at Boomers, the lines were relatively short, and I was positively surprised. When it comes to a place like Boomers, where every activity has a cost, I have found that establishing ground rules before we enter the place is a good idea. We went to Boomers to play mini golf, and our kids knew this. I went to the ticket counter with all of my coupons. I had four free mini golf coupon, which we had received at a Free Halloween/Tri Rail event in Dania Beach last year. It turned out that I only had to use two coupons, as kids 5 and under play minigolf for free. (The regular price for mini golf is 27 tickets and 100 tickets cost $25, so we would probably had to pay about $20 for 3 people without the coupons). I also had a free coupons for a ride, and I had a coupon for a free spin on the wheel. A free spin on the wheel means that you spin a wheel at the ticket counter, and you can win free tickets for the prize counter (you get a small prize for your tickets...just like at Chuck E Cheese), or free rides. I won a free go kart ride, which was perfect for my oldest son. I had many coupons left, but I decided to start out with this, and then if I needed to go back I could always do so later. I did not tell the kids about the free rides, because we had gone to Boomers to play mini golf, and I was going to surprise them with a free ride, when we were done. Playing minigolf was a lot of fun, and while there were lots of people playing mini golf, there were two different tracks (about 20 holes each), and we only had to wait at a hole twice. We started playing around 3:30 p.m., which was perfect as we began to get a little bit of shade. I had brought water, juice boxes, chips in a zip loc bag, and the kids and I had baked banana bread in the morning, so there was no need to buy any expensive food or snacks. We probably spent 2 hours playing, but at the end of the second track it was time to move on. My boys were very excited, when I told them that they each got a free ride. My five-year-old son choose a ride on the swing carousel, and my eight-year-old son had a ticket for the go kart track across the street. We had a great time at Boomers, and the most surprising part was that we did not spend a single penny. We even have lots of coupons left for another Boomers trip, and while we might not be able to make another absolutely free Boomers trip, we should be able to make a very cheap Boomers trip again. Between mini golf and two rides we spent about 3 hours at Boomers, and it was perfect for a family of five with three boys ages 19 months, 5 and 8. By the time we were done, we were all ready to head home for dinner. - Sign Up for the Boomers Discount Kids Club and get great Boomers Coupons. Make sure to enter your kids birthdays, as you will receive a great Free Play Birthday coupon as well. - Use rides that has 2 for 1 price including the Bumper boats (older sibling/younger sibling or parent/child) and the Go Carts (Great father/son activity) across the street. - Children under 5 play mini golf for free. $12 Boomer Days Details: (INCLUDING UNLIMITED: Video Games & Miniature Golf, excluding: Redemption games, games that reward prizes or tickets, Batting Cages and Food. - Make sure to save your Play Cards and bring them with you, whenever you return to Boomers. There is a $1 new card activation fee, if you do not have a card already. *We did not have to pay for the new card fee with the free coupons. - Do not wear sandals! Some rides require closed toe and closed heel shoes, so make sure that everyone in the family wears shoes, whenever you go to Boomers. Find more details about the attractions at Boomers Dania Beach here. There are lots of height requirements at Boomers, so make sure to check out what height range your child is in, before you purchase any tickets. You can find the height requirements at Boomers here. The above prices are prices as of 3/20/2011, make sure to check out the Boomers Dania Beach website for any changes. You can find the latest Boomers Dania Beach prices here. You can find special Boomers online prices here. Online purchases are subject to a $0.99 fee. 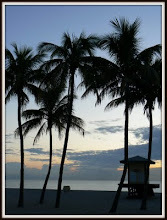 Find Boomer's Dania Beach Directions here. Looks like a lot of fun! Even better that it was all free!